Lori Sherwood has actively worked in broadband and telecommunications in the municipal space for over thirteen years. 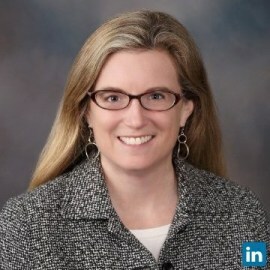 Lori is also an attorney whose prior work experience includes serving as Of Counsel with the Denver law firm of Kissinger & Fellman, P.C, where she specialized in local governments, information technology, telecommunications, community broadband networks, legislation, lobbying and federal affairs. Prior to that, Lori worked for Howard County, Maryland – first as the Cable Administrator and then as the Broadband Program Director for the nationally recognized One Maryland Inter-County Broadband Network (ICBN) initiative ($100 million dollar broadband stimulus project). Lori is a nationally recognized leader in telecommunications and broadband policy and she recently served a four year terms as a Member of the Board of Directors for the National Association of Telecommunications Officers and Advisors (NATOA) – an association representing local government interests in telecommunications. Lori has a Bachelor of Arts degree in anthropology from the American University and is an honors graduate of the University of Baltimore School Of Law.